1460 Juan Ponce de Leon's early life in Spain was very poor. As growing up the only way to achieve money was to deliver messages and packages. In his thirty's he served the Spanish army and to make the muslims leave Spain. 1493 while Ponce De Leon was still being a solider he sailed with Christopher Columbus in the second voyage of the New World. After sailing, Columbus went back to Spain as Juan went to an island called Hispaniola to defeat the Native Americans once and for all. When the fight was finally over Ponce De Leon was promoted to be governor and had permission to explore Puerto Rico, which they have been told where gold was. 1509 Ponce De Leon had also claimed Puerto Rico which made him again, to be governor of the land but he had other plans. Juan has heard legends from caribbean natives that there is a patecilar fountain called the fountian of youth. 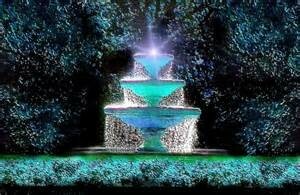 According to legend if you find and drink the water it will grant you eternal life and health. Month and months past trying to find the fountain but there was no sign of it, all he found was land which he named Florida or the land of flowers. Once Ponce De Leon was finished finding the fountain in anger. The only thing he can do now was to start a colony in Florida but before he knew it, the Native Americans anger from Hispaniola created vengeance, so they sneak attacked Ponce De Leon with an envious battle and by then a heroic solider's story ends with an arrow in his knee.